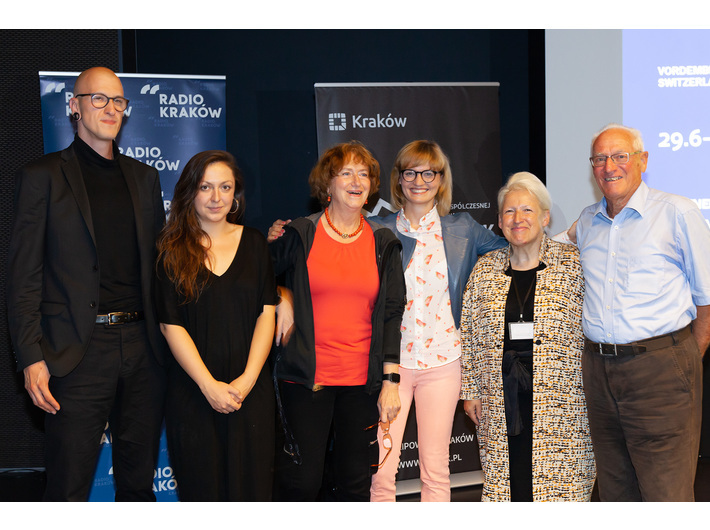 On 28th June during a press conference at MOCAK the winners of the stipend competition of the Vordemberge-Gildewart Foundation were announced. Each year, the competition funded by the grant from the Vordemberge-Gildewart Foundation in Switzerland takes place in different countries. In 2011 MOCAK organised its first Polish edition, with the participation of 15 artists. In 2018, MOCAK has again been honoured to be invited to present another edition of the grant competition. In order to ensure the most objective selection possible, we have asked the most important institutions that represent contemporary art in Poland to recommend interesting young artists. These institutions are: Arsenał Gallery in Białystok, BWA Gallery in Bielsko, Kronika Gallery in Bytom, Municipal Gallery in Gdańsk, BWA Katowice, Bunkier Sztuki Gallery in Krakow, Galeria Labirynt in Lublin, Muzeum Sztuki in Łódź, Centre of Polish Sculpture in Orońsko, Arsenal Municipal Gallery in Poznań, TRAFO Center for Contemporary Art in Szczecin, BWA Tarnów, Zachęta – National Gallery of Art in Warsaw, Museum of Modern Art in Warsaw, BWA Wrocław, WRO Art Center in Wrocław and BWA Zielona Góra. As a result, 16 artists have been selected to take part in the Award of the Vordemberge-Gildewart Foundation 2018 exhibition. The exhibition in MOCAK's Beta Gallery will be open for visitors until 23rd September.